The fans of comics will like themed Blast Boom Bang online slot by Endorphina software provider. The storyline is unusual and extraordinary that is why players have to prepare themselves for earnest fight with evil in the atmosphere of unrestrained excitement. By its functional this impressive slot machine is going to amaze even the most sophisticated gambler which like the wide range of different bets and availability of top-quality set of prized features as a part of Bonus rounds. The music of heroic motives greatly emphasizes the dynamic of gameplay. The common complex of visual and sound effects will help players to feel himself as real superhero and spend time with profit. Of course, if you are a fan of Marvel comics, you have to take chances at the Avengers slot online, featured by 4 progressive jackpots. The great part of Blast Boom Bang free slot online pictures is the main base for winning combinations: the pictures of main superhero, his couple, and evildoer, bike and gaming cards. The separate set of special symbols includes Wild and Scatter. Wild is a picture of blasting that helps player to free the cell in winning chain for the process of replacement. Wilds appear on 2, 3, 4 and 5 reels. 3 Scatters on 1, 2 and 3 reels activate the Bonus Free Spins. Taking account the specific of Scatter symbols they do not follow the rules of active paylines. 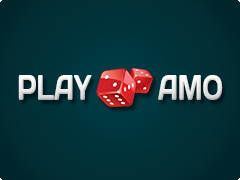 If player is lucky enough to catch the Bonus, he will be awarded with 10 Free Games. During Free Spins Wilds become Sticky on their positions. It will help gamblers to collect winning combinations more rapidly. 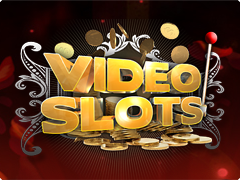 Mentioned video slot is your opportunity to play the role of superhero. It is easy enough! You have just to play it for free or real money! The interface is designed in the traditional comics’ pictures that move gamblers to the drawn world of evil and good.